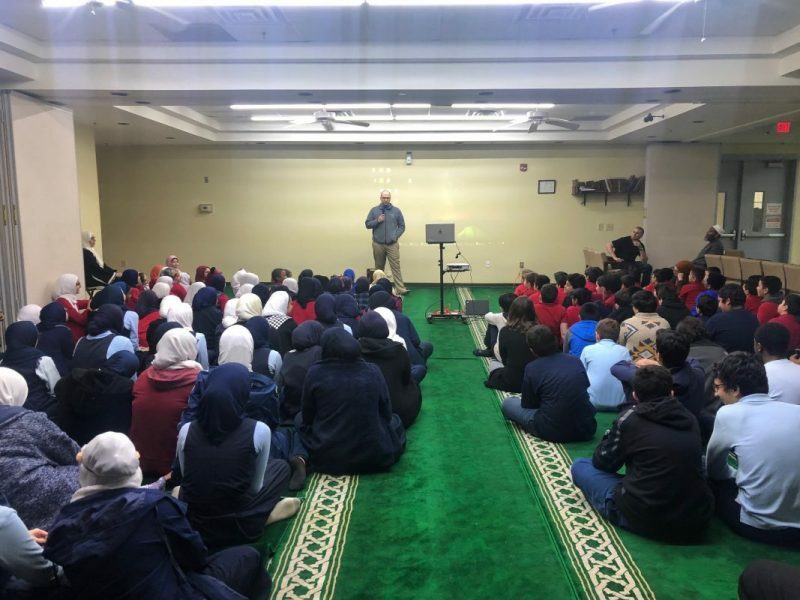 Farris Barakat, the brother of Deah, speaks to the students of Al-Iman School (Cee Cee Huffman/Carolina Connection). This Sunday marks four years since UNC dental student Deah Barakat, his wife Yusor Abu-Salha, and her sister Razan Abu-Salha were shot and killed in their Finley Forest condo. Their neighbor, Craig Hicks, is charged with the shooting. Even after their tragic deaths, their activism has sparked the creation of the Our Three Winners Foundation and The Light House Project, which aim to inspire a peaceful society and motivate Muslim youth to help their communities.